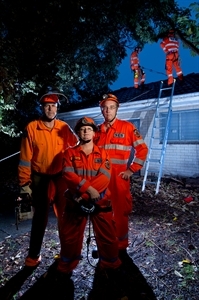 As a part of National SES week, each day we are revisiting the big events which have happened this year and the contribution to the community which Cockburn SES has made! Below is a link for article ‘Riders of the Storm’ from the Commmunity Newspaper on our unit, storm season preparation and the phenomenal April storms we attended. Three cheers for our SES photo of Kim, Kylie and Digby!